Green roads (or green lanes) are, in many ways, corridors to parts of the country that you would simply take the rest of your life hiking/walking to find them. Snowdonian National Park is one such place with a scale and wonder that simply takes your breath away. 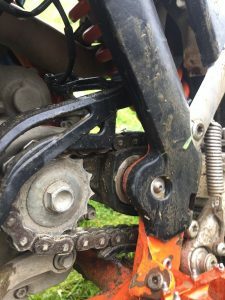 Having the necessary green laning maps to ensure you travel along the legal roads is a must for any trail rider. Following a week of wall-to-wall sunshine and temperatures in the 30’s. The Central Bristol TRF special weekend had arrived. 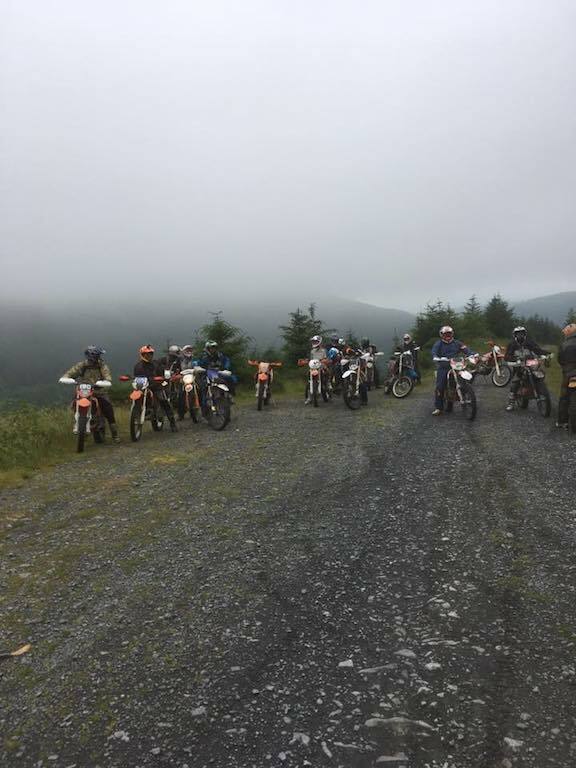 21 TRF riders were greeted with a menacingly grey-sky filled with the wet stuff just waiting for an excuse to unleash. Temperatures of 30 degC were a very distant memory! 9.00am following a hearty breakfast from our hosts for the weekend, Nigel and Tiv (Bikers Retreat). We donned our gear and headed out to explore the green lanes (legal byways) around Barmouth. First lanes were amazing and it soon became apparent. Although, we were large in number, the crew were solid bunch of riders who could handle themselves on the dirty stuff. 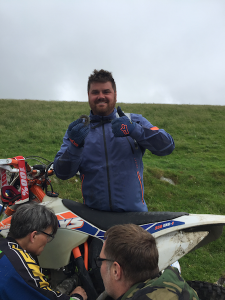 Dean headed up at point – with his years of experience studying and exploring the Green laning maps he oozed confidence to settle the nerves of every new rider. No drive! I wonder why? Lee sighed a massive sigh of relief when he managed to find a supplier of 13 toothed sprockets in the wilderness. The seller (Alcuin) only charged Lee £150,000. Good value and certainly put a smile on everyone’s face to see Lee with full motion again! Drive reinstated we hit the green roads again. Amazingly, 60 miles on the first day doesn’t sound much, but every mile was packed with full fat juice of life. 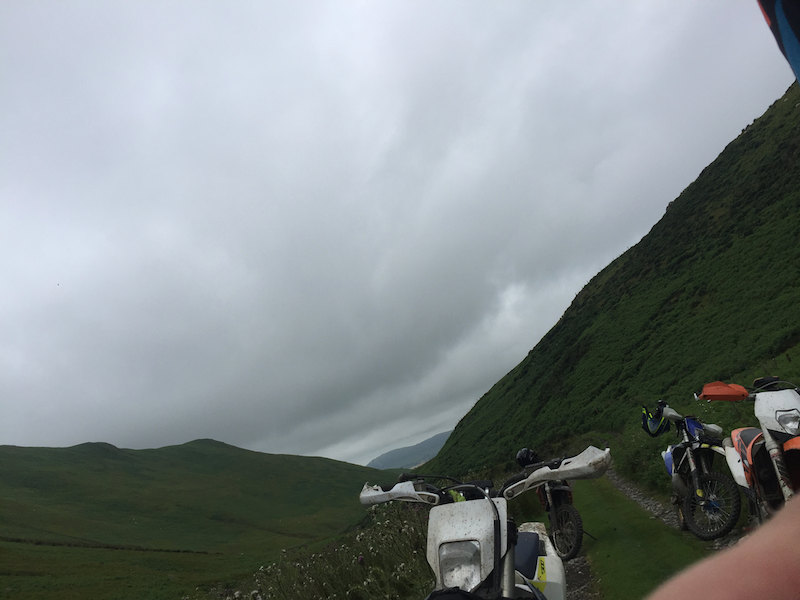 Day 2 started with the Welsh rain gods giving the guys a bit of a drenching but the scenery soon took our minds off and made the riding even more interesting.